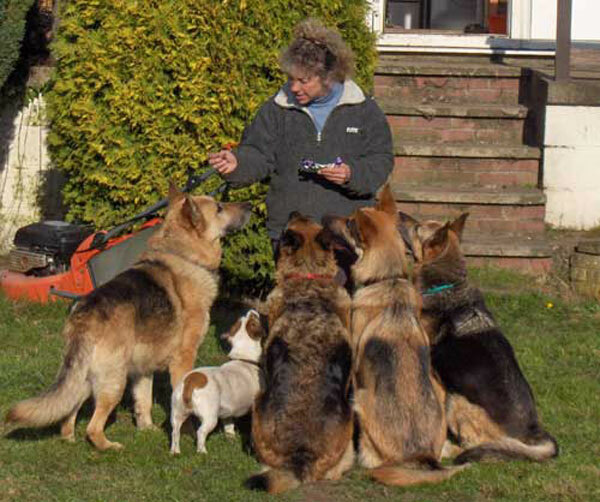 Here we feature dogs that the rescue has helped. This is the lovely Ambra who snapped her Achilles tendon. She is now safe, well and happy in her new home and on the road to recovery. 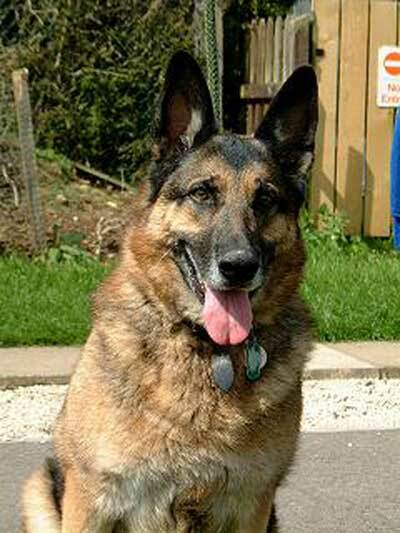 An absolutely beautiful dog with a superb temperament. 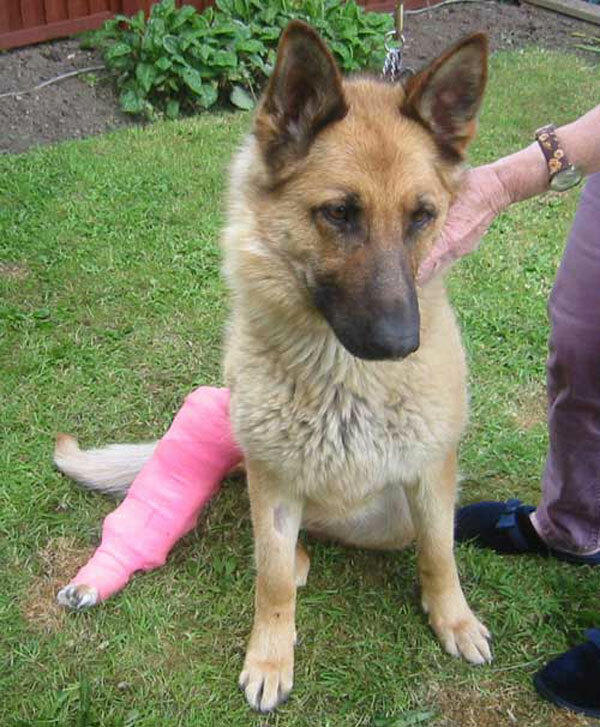 Zak's owner had his leg amputated and his son was going to have the dog put to sleep - nice eh?!!. 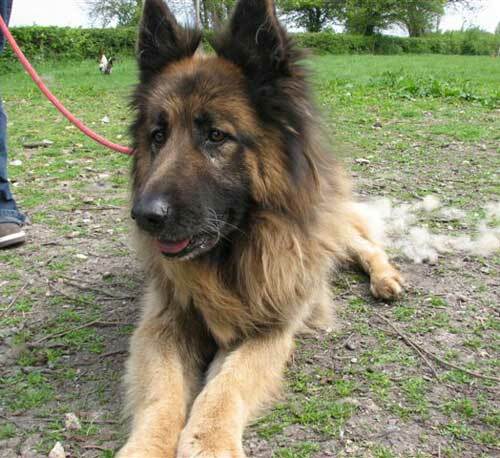 He is 5 years old, big dog, big boned very handsome, short coated black and tan, good with other dogs, does not like cats. 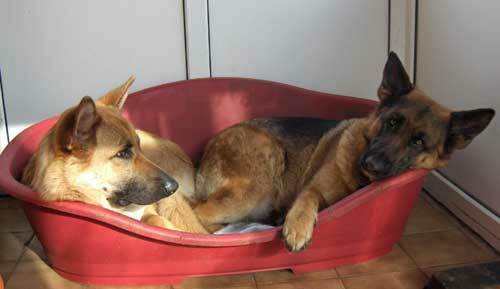 Beau and Shane are about 5 and inseparable, they must be homed together. At present they are in quite good condition with lovely temperaments. 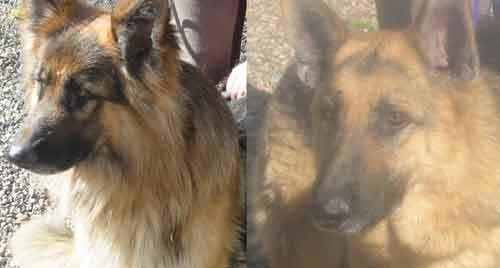 They were in the same dog pound that Chloe, Gem and Talon were in so we needed them out before their condition deteriorated. Amber and Storm were 2 older yard dogs. Read Amber and Storm's story. Katie - now this is fun. 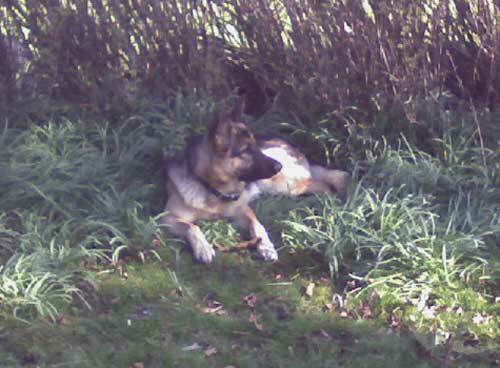 Jake - If I keep still they will never know I am here. Flynn - off duty for good. Retired now. Do not disturb - snoozy time. 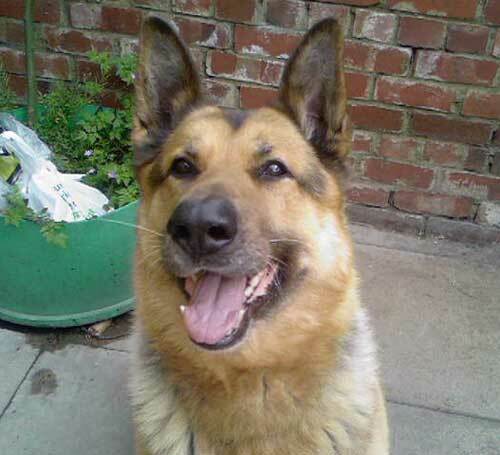 Flynn had a horrible life but can now look forward to a happy retirement. Tig and Max - your bum looks big in this! 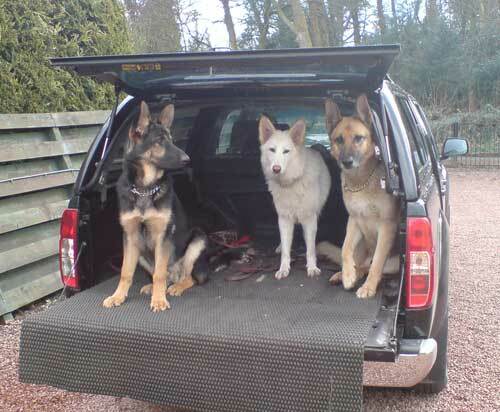 Heidi Ted and Max - are we there yet? 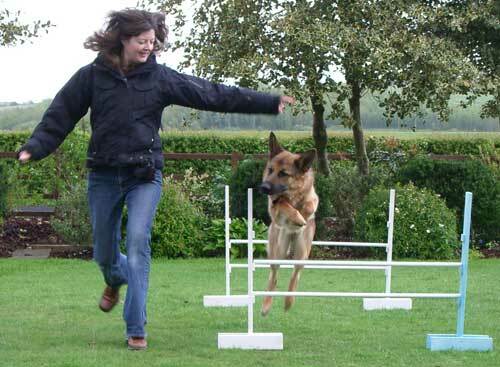 Heidi came from a dreadful puppy farm and Ted was rescued after being sold at just 8 weeks old as a guard dog. 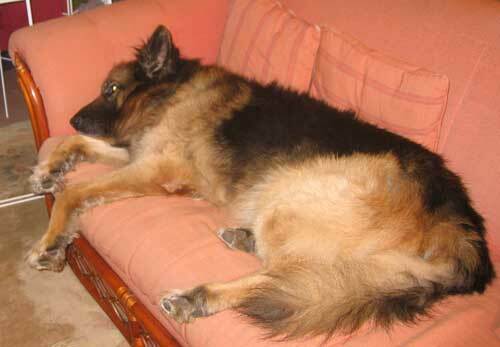 Mad Max is an ex-guard dog who now likes his home comforts.